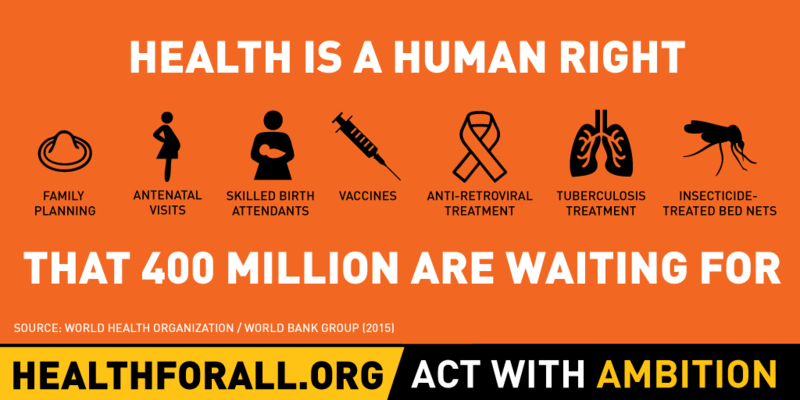 Universal Health Coverage (UHC) is a basic human right. The WHO’s Director-General, Dr Tedros Adhanom, continues to highlight the importance of UHC by focusing its World Health Day on this topic. Dr Tedros’ top priority is equity for health for all, but how will we achieve the World Health Assembly’s ambitious target of 1 billion more people benefiting from UHC within five years? Where are the ‘Toyotas of healthcare’ we need for universal health coverage? By Jonty Roland, IGHI Honorary Research Fellow and Independent Health Systems Consultant. By dedicating this World Health Day to universal health coverage (UHC), the WHO is continuing to relentlessly bang the drum for ‘health for all’ under its charismatic Director-General. This is a beat that more and more countries are now marching to, with dozens of governments having announced UHC-inspired reforms since Dr Tedros took office two years ago. The 2001 UN General Assembly Resolution proclaiming 18 December each year as International Migrants Day recalls the obligation to respect the rights of all individuals as set out in the 1948 Universal Declaration of Human Rights. It invites Member States and intergovernmental and non-governmental organisations to observe the day by providing information on the human rights and fundamental freedoms of migrants, sharing experiences and designing actions to ensure their protection, among a myriad of other activities. Today mark’s World Blood Donor Day – an event to celebrate and thank volunteers the world over, who generously donate blood to support life-saving care and to raise awareness of the continued need for donations of blood and blood products to support high quality safe care for patients who need it most. Worldwide, there are more than 5 million people who die from violence and injury1. Uncontrolled bleeding causes more than 40% of trauma-related deaths1. More than 530 000 women die each year during pregnancy, childbirth or post partum and 99% of these women are in low and middle-income countries with severe bleeding being the commonest cause of death1. Safe and affordable surgery, therefore relies on access to a sufficient volume of blood which can be safely transfused2. Each year, there are two to three million children who die of a vaccine-preventable disease and there are 19.4 million who are unable to receive basic immunisation. One of the main reasons behind these figures is that the carrier boxes currently used to carry vaccines during the last miles of the delivery journey are incapable of sustaining the vaccines at the required temperature range for the entire duration of the journey. This is an urgent global health issue and Ideabatic is developing a solution called SMILE— a smart last-mile cooling and delivery system to address these problems. Universal Health Coverage (UHC) Day (12th December) highlights the growing consensus that health coverage should be for everyone. On this day in 2012, the United Nations General Assembly adopted a resolution calling for countries to provide affordable, quality health care to every person across the world. Since then, governments have been urged to move towards this. The diffusion or spread of innovations over time through a specific population or social system is important to unlock the potential benefits of an innovation. There has been much study of how to encourage the uptake of innovations so that they become part of everyday practice and benefit many, rather than a few. In this research, we explore this from the demand side. 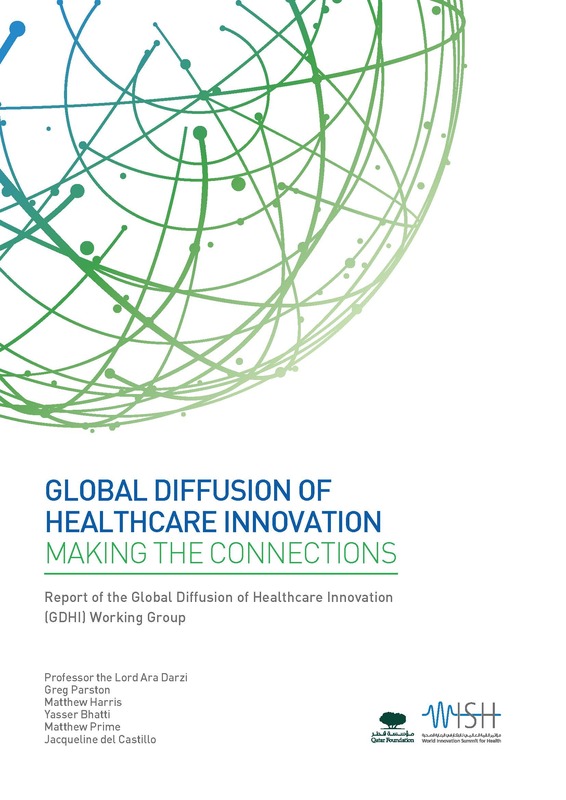 This report, ‘Global Diffusion of Healthcare Innovation: Making the connections’, which is to be discussed this morning at the World Innovation Summit for Health (WISH) looks at how frontline health workers (FHWs) and leaders find solutions to their everyday challenges, and which sources are the most influential.